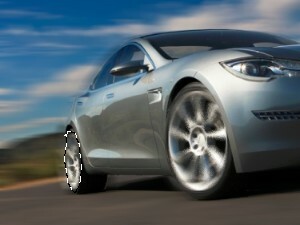 Open a picture of a still standing car. 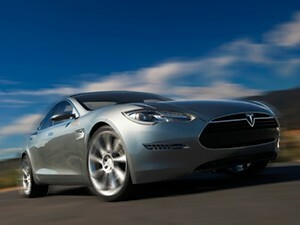 I'm going to make this electric parked Tesla Model S go fast. 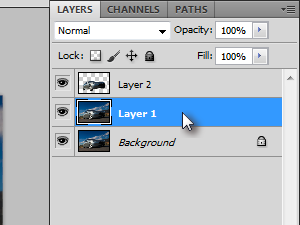 Press Ctrl + J to duplicate the layer. 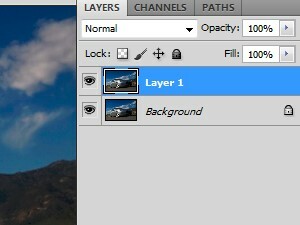 This step is not necessary, yet recommended to preserve the original image. 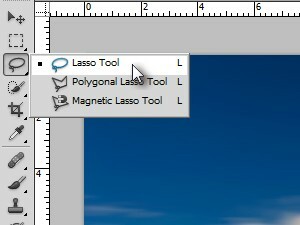 Choose the Quick Selection Tool. Or what ever selection tool you feel more comfortable with. 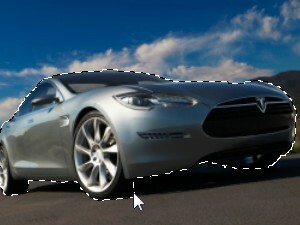 Select the car (see picture). 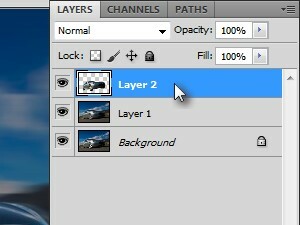 Press Ctrl + J to create a new layer from a selection then choose previously duplicated layer (see picture). 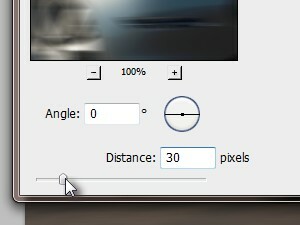 Set the angle to about 0 and distance to about 30 pixels. 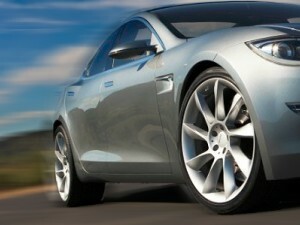 Tesla S already looks like it's moving, but we still need to sort the wheels. 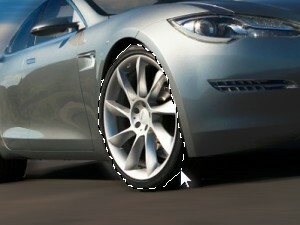 Choose the cut out car layer (see picture). 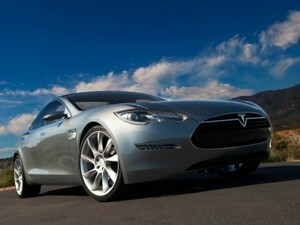 And select one of the wheels. 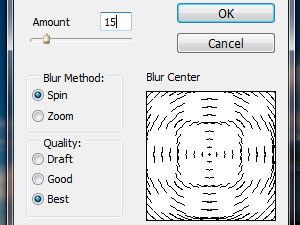 Set the Amount to 15, Blur Method to Spin and Quality to Best. 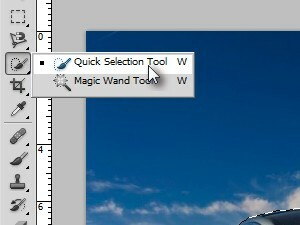 Now select the remaining wheel and press Ctrl + F to apply the last filter you used, Radial blur in your case.